A gift for your Union friend! 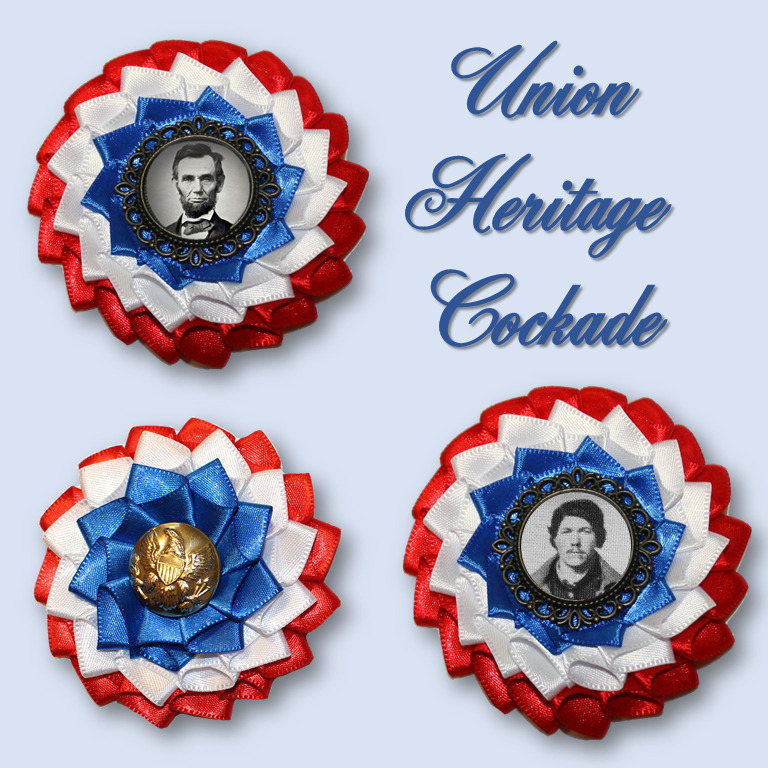 Choose a USA button center, or a famous Northerner - or email me a photo of your friend's Union ancestor! My email is creativecockades@gmail.com. Need this for an ornament instead of a pin? You can choose that option as well! Satin ribbon, filigree framed photo, hand-sewn onto period-correct buckram. Approximately 3" (7.5 cm) across rosette. Optional pin back is silver-plated and 1" (2.5 cm) wide.